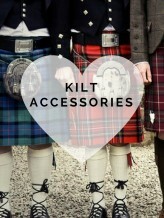 Looking to buy a tartan kilt or highland clothing? 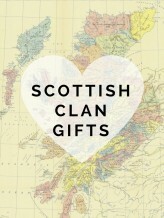 Want to share a gift rooted in centuries of Scottish heritage? Or maybe you want to add a touch of tartan to your home interior? You can find a wide range of traditional Scottish clothing, accessories, gifts and homewares from Gretna Green. At Gretna Green, we stock a superb range of Childrens, Womens and Mens Kilts and Tartans alongside tartan ties, kilts, shirts, cufflinks and tartan capes... everything you need to complete your traditional Scottish tartan dress. 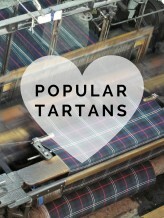 We also stock a full range of many of the clan tartans with literally hundreds of styles and colours to choose from. 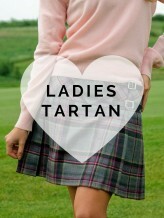 Tartan clothing and accessories are always in fashion. Whether classic or contemporary - tartan remains a real trendsetter. Find the perfect tartan fashion accessory to finish off an outfit with tartan handbags, tartan capes, scarves and shawls. 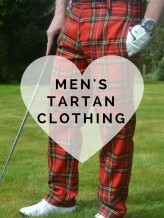 It's not just women who like to accessorise their outfits with tartan- our men's tartan clothing and accessories include our dashing tartan trousers and matching tartan waistcoats, along with tartan ties and tartan cufflinks in a range of popular Scottish clan tartans. As well as traditional Scottish national dress and tartan clothing and accessories, we have a wide range of products celebrating the history and heritage of Scotland. Our Scottish Clan Crest range celebrates centuries of Scottish clansmen and the surnames that are associated with each Scottish clan crest and tartan. Explore a wide range of clan crest badges, kilt pins, cufflinks, mugs, glasses and clan tartan scarves, ties and more. Looking to add that finishing touch to your home? 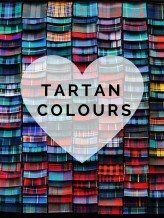 Tartan is a great way of adding style, colour, vibrancy and warmth to your home. We off a wide range of tartan accessories with our tartan blankets at the core. From everyday blankets for the car or perfect for picnics, to lambswool tartan throws for the sofa or bed, to the unrivalled luxury of 100% Cashmere blankets that can’t be matched. When people get in touch with us here at Gretna Green to inquire about ordering a tartan kilt for delivery in the UK or abroad, many other questions commonly arise such as: What's the history of tartan? What is the Kilt for? Why should I wear a Kilt? 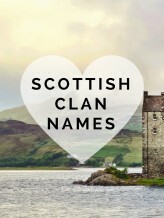 You may ask these and many other questions if you're not from Scotland and unfamiliar with the heritage. For centuries past and into the future, tartan is the living, visible symbol for all Scots and Friends of Scotland. So, with postage available worldwide, you too can own your own symbol of Scotland. When Should I Wear a Kilt? Are you attending a wedding? Are you going to a formal occasion? Do you have Scottish heritage? Is there a Celtic themed party? 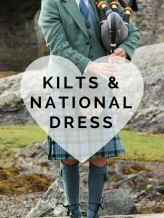 Do you just like the idea of wearing a kilt? Tartan and Highland wear can look great when worn for Weddings and formal occasions and can also be dressed down casually for Sports music events, so you can wear your tartan kilt wherever and whenever you want!